It's hard to imagine that just a decade ago, Oceania Cruises didn't exist. Today, the upper premium line operates a fleet of three mid-sized ships on diverse global itineraries. Occupancies are high, thanks to the line's two-for-one fares and such tempting offers as free air. Highlights of the Oceania cruise product are upscale appointments, a country-club casual atmosphere, top-notch service and a strong focus on cuisine. 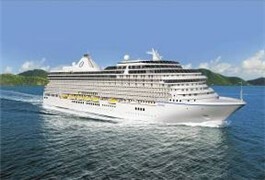 In 2011, Oceania will launch its first new-build, Marina. Look at what the line plans for Marina's inaugural season. Just two years after 9-11, an upstart cruise line called Oceania Cruises launched with a mere $14 million in capital and one 684-passenger leased vessel. In 2008, we did this story talking about the line's future. At the time it owned only three smaller ships, but was building two larger vessels, and had just been purchased by Apollo Management for $850 million. 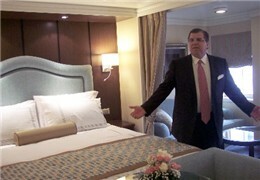 Frank Del Rio, Oceania's chairman, CEO and co-founder, chatted with SouthernCruising.com (TM) about the line, its new ships and trends in the marketplace. 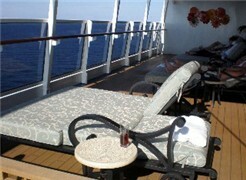 SouthernCruising.com was onboard the new Oceania Marina at Fincantieri's Sestri Ponente yard in Genoa, Italy, in early 2010. While we toured the ship -- essentially a look at the ship's bare steel and what is to come -- we also toured several mock-ups of cabin/suite configurations. 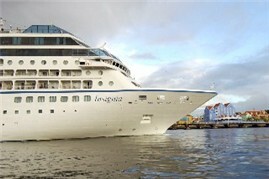 Come along for our details about the Penthouse Suite and intel about other top suites features onboard Oceania. We also got a look at a crew cabin mock-up for those interested in all-things Marina.